The superabsorbent polymers (SAP) are able to absorb large amounts of water. Superabsorbent materials are known as hydrophilic complexes which have the capacity to absorb a large volume of aqueous fluids in a short time and desorb the absorbed water under stress condition. The absorption capacity of SAP is one of the important parameters of that could limit the application of this material. The use of superabsorbent polymers for water managing and the renewal of arid as well as desert environment have been considered greatly. The encouraging results show that superabsorbent materials can help agriculture and environment by irrigation water consumption reduction, fertilizer retention time improvement in soil, lowering the death rate of plants, and plant growth rate increment. Overall, the modification of superabsorbent polymers using nanotechnology could include employment of nanomaterials for preparation of superabsorbent nanocomposite materials. 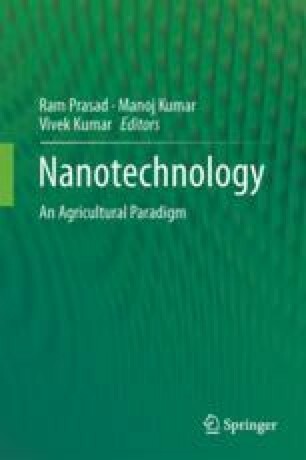 One of the most convenient and useful superabsorbent nanocomposites is superabsorbent/clay nanocomposites which are introduced in this chapter.